A Country Store set in the Foothills of the majestic Big Horn Mountains. Offers a country feeling when your looking for a rest stop. Has anything you would desire from gifts to food to everyday needs. 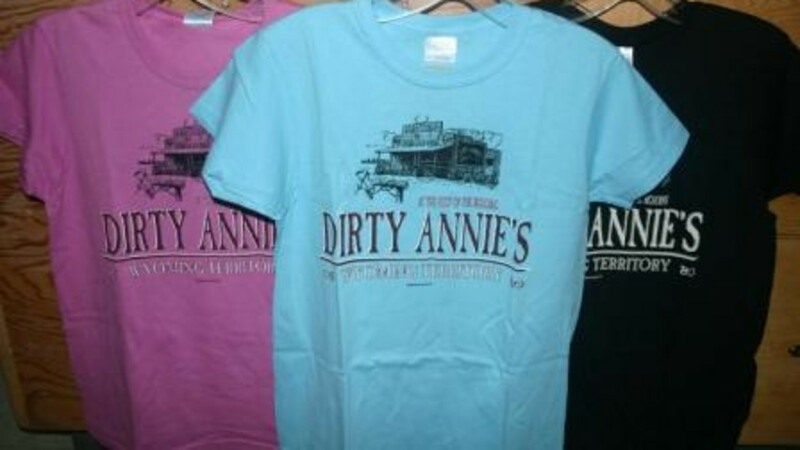 Located on US Highway 14, near Shell, Wyoming, Dirty Annie’s is a convenient stop for travelers. Situated on the closest and most scenic route between the Black Hills of South Dakota and Yellowstone National Park, we are just two miles from the Big Horn Mountains, an hour drive from Cody, Wyoming and two hours from the east entrance of Yellowstone National Park. Human fuel inside, Socks will be unknocked.